Long live the Photoshop talented users. 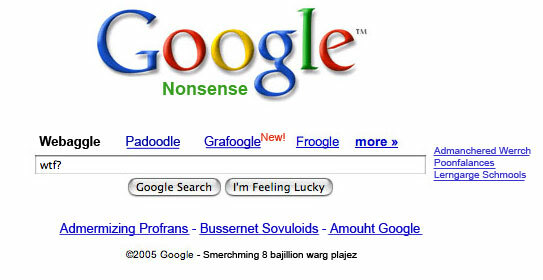 I have gathered from all over the internet 9 funny Google mock-ups I liked. I’ll say nothing more, and I’ll let you enjoy the images and their description. Click the thumbnails to enlarge the photos. 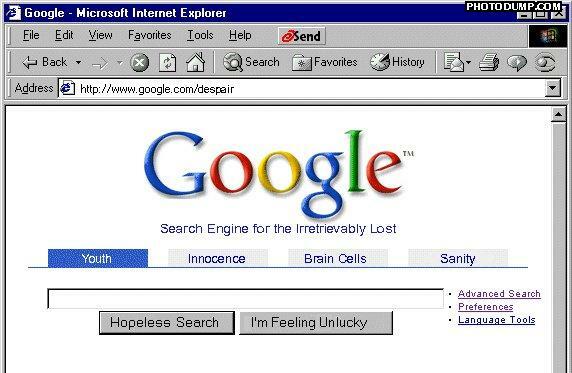 Google Despair – The search engine for the irretrievably lost. Search for your youth, innocence, brain cells or for general sanity. 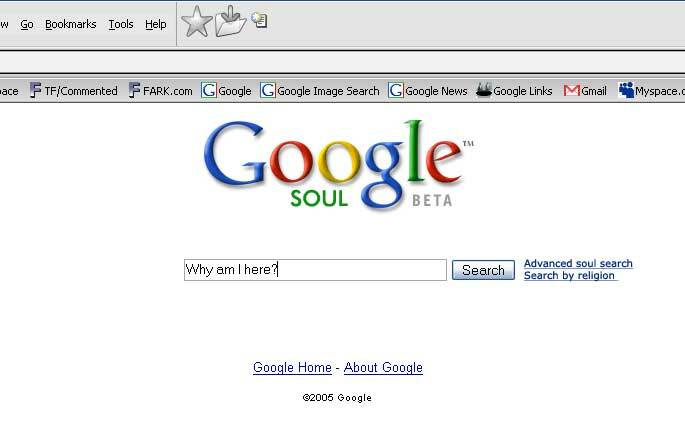 Any search is hopeless in despair. 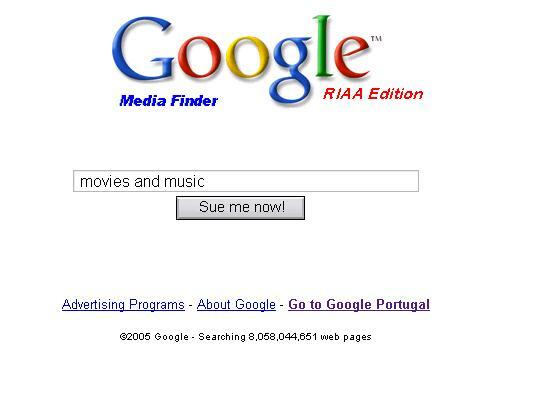 Google Media Finder – RIAA edition. Do you dare searching for copyrighted materials? Sue me now. 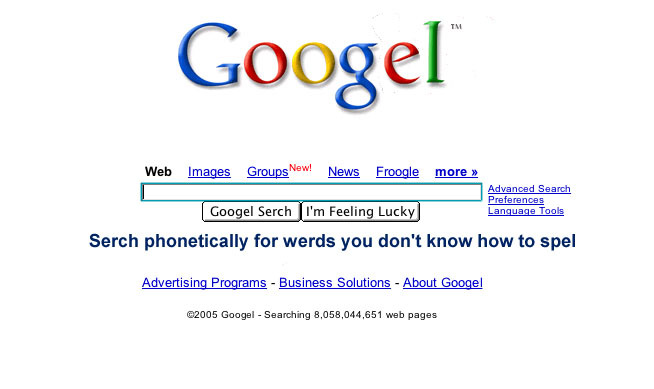 Google Spelling – Serch phonetically for werds you don’t know how to spel Googel. 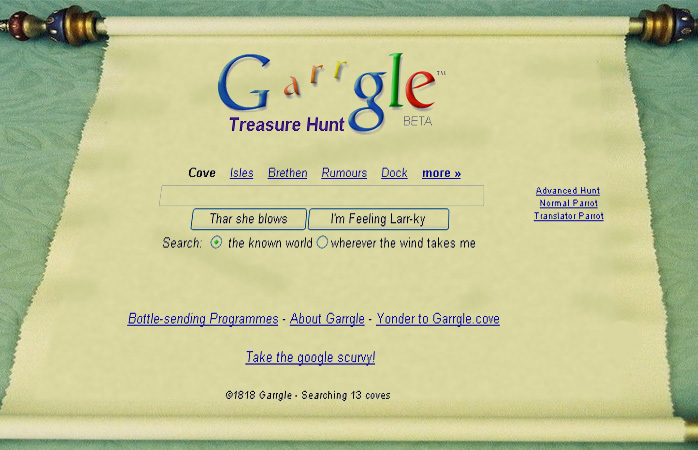 Google Treasure Search. Search the known world or wherever the wind takes you. 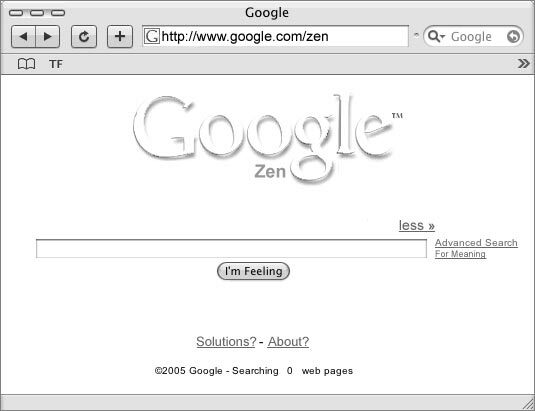 Google – Zen search. Just feel. The most powerful Zen knows everything. Can it be more compact than that?